You know the feeling of nervousness, stress or panic when we perceive danger or anticipating danger? Many of us know of the ‘fight or flight’ response being related to survival – but do you know much about the physiology of it? How it affects your body in the long term to stay in that mode all the time? Once upon a time we would have had to run from a predator, another opposing tribe or flee during bad weather… but in modern life, what is defined as things to escape from have somewhat taken on a new ‘cloak’. We now have ‘stress’ around us all the time, and what is physical or perceived stress WILL impact on our bodies, and sustained stress will turn into changes in our physiology. Our bodies are designed to have short bursts of stress, and times of recovery in between so that we can maintain homeostasis and health. The sympathetic nervous system is the one which activates our ‘fight or flight’ response… that includes activating thyroid and adrenal glands to provide energy so we can get away from the danger. The energy this system uses is ‘destructive’ to the body – short bursts won’t necessarily harm, but long-term, the body ends up scrambling energy from any source it can, as quickly as it can, not discriminating where it comes from – it can be using muscles and other energy stores not normally used for ’emergency’ functions. Of big focus to many who watch their waistline and wonder why it doesn’t change – the sympathetic nervous system won’t necessarily burn the fat you want it to! If you stay in this ‘flight or fight’ mode… you will be burning through minerals, vitamins, potentially healthy muscle and other stores, and it will be detrimental to your adrenals and thyroid over time. You may feel great now, and amazed at how you can ‘keep on keeping on’, but a more major stressful life event will happen, and “suddenly” you will have a chronic illness, an autoimmune condition or even just get everyday sicknesses all the time, and not seem to ever fully recover. You also have a parasympathetic nervous system which is involved in nourishing, healing, elimination and regeneration of the body. The parasympathetic system gets ‘closed down’ to minimal operation when the sympathetic is active – imagine your body not being able to give much ‘attention’ at a metabolic level to your liver, pancreas, stomach and intestines? What do you think would happen to your body……? Working with your body to bring it into the parasympathetic state is really important – this means REST! Also nourishing your body fully so that when it needs to go into the ‘fight or flight’ mode, it has the energy sources, minerals and vitamins it needs to do it. If you also contend with anxiety, depression, insomnia and the like, this can be extremely difficult – all of these conditions are heavily tied to mineral imbalances, so get testing done and learn about how they impact on your body, your brain and your life overall! Be aware of your stresses in life – remove them where you can. If you can’t remove them, consider thinking outside the box on how to reduce them. Relaxation, meditation, ‘me time’, anything to give you positive thoughts – do something EVERY day! Empower yourself to understand your own health and that of your family – read, learn, ask questions, trust your gut… if it doesn’t seem ‘right’ for you… don’t do it. Consider checking out the options and getting your minerals tested so you have a starting point. Remember, if you are always ‘running on empty’, this can be made worse by mineral imbalances and you are likely to continue to make the imbalances worse the longer you push through it. This week coming is ‘International Health Coach Week’ – and we want to help coach you to better mineral health. Feel like you need to keep digging for answers? Have you ever wanted to learn more about minerals, to get help you to understand? To get help so you can have a light bulb moment or two…….? Well now’s your time to get learning! In the next week, Morley Robbins and I have scheduled TWO learning sessions scheduled to help you connect the dots, to help you understand and to support you taking control of your own health! The investment in better health is $25 US for each session. To find out more or to book in, click on the session titles (Session 1, Session 2) and below. Sessions will be approximately 1.5 hours total including question time after the main learning session. Please note – these sessions will have attendees from all around the world. To try to make this as easy as possible for everyone, I have included some major timezones so you can work out what your local time will be. If you aren’t sure which time to choose, please reach out for assistance! This webinar was a special presentation hosted by myself with Morley Robbins and provided a great introduction to many aspects of mineral balance to those who attended. What is the Root Cause Protocol? How do we end up with mineral imbalances? What does magnesium do? What do other minerals such as iron, copper, ceruloplasmin have to do with anything? What do minerals have to do with health conditions such as digestive and gall bladder problems, brain fog, allergies, joint and muscle pain, fatigue, sleep challenges, etc? How do minerals impact on me and my daily life/challenges? If I get testing done, how will I know what to do to fix imbalances? What do HTMA and blood tests show? Some details on the Root Cause Protocol (Stops, Starts and some of the ‘whys’ behind them). Q & A and open discussion from participants on the day. This is a valuable session for those wishing to broaden their knowledge on the Root Cause Protocol, to gain confidence in how they slot into the protocol (or how other family/friends may slot in) and those planning on getting further testing done, but who want to understand it a little more. Please firstly complete registration of your details so we can keep in touch about updates on this event (including letting you know of future events), and to help us in the case you have trouble down the track accessing this product. Please complete payment of $25 USD to view the webinar and notes. This webinar will be available for you to view more than once, and an email will be sent within 24 hours including extra details which are discussed during the event. The email address used to pay with paypal will be used to send this message unless you otherwise advise an alternative. PLEASE make sure you hit ‘Return to Merchant’ once you have successfully paid. This takes you to the location which will allow you to view the video. You will be able to come back to this final page with the video details in the future. I would suggest bookmarking it if you wish to come back, or refer to your email. Iron, magnesium, inflammation – how do they relate? Morley has shared before in his MAG-pie alert #3 about the relationship between iron and mag, but the connection may not have been fully obvious unless you read on. Chelate just means bonds between things – so when there is an accumulation of iron, it can end up bonding to the same sites as magnesium should be present at. So, when we consider Morley’s quoted figure of 3,571 proteins in the body that require magnesium to do their work… if iron accumulates in these positions within proteins and this damages them…what do you think that means for those proteins? They can no longer work. What about those individuals who get more and more build up of iron from the excesses in our food and environment? Less and less places for magnesium to be stored and bonded to proteins, and more and more inflammation to be present within the body. The proteins cannot do their job and the body will switch off the functions and over time, go more and more into survival mode. This may be activating gene mutations (have you heard of mthfr?) or could be reactions happening to food or the environment, auto-immune conditions like diabetes, or so many other things. If there isn’t sufficient magnesium, then inflammation becomes more and more prevalent. Places where iron are stored and normally wouldn’t have it, also are irritated and inflamed. But now there’s insufficient magnesium to offset it, so chronic inflammation sets in. Consider this – relocate the excess iron outside of the body, or to places it’s needed inside the body (by building Ceruloplasmin in the blood), providing enough magnesium to build up stores, not just maintain levels, and to stop adding extra iron from non-food sources (which make the situation worse). But my iron results are always low? Are they? Have you been told you have anaemia, low ferritin or low hemaglobin? Have you supplemented with iron yet it never goes up? Do you understand what your results actually mean? The more you supplement, the more it doesn’t seem to help (or to ‘last’), so the more medications you need to be on to support the new diagnoses you are constantly getting? Does your healthcare professional understand what ceruloplasmin is and how critical it is? Have they tested your full iron panel, serum copper, serum ceruloplasmin, RBC Magnesium and understand how they relate? Do they take the time to explain it to you and discuss? If the answer is no, maybe you should consider watching the video of Morley Robbins on his website. Get the right testing, empower yourself and don’t just blindly take things without understanding what is going on. Magnesium… where do I start? OK so I get asked ALL the time where to start with magnesium supplementation. There is no one single “best” option – it all comes down to the individual and the need they are trying to fill. Firstly, I would suggest for the most sensitive individuals especially, starting with magnesium only on your skin is likely to minimise reactions and start your body adjusting to having some magnesium available. Epsom Salts can be sprinkled into a bath or even a bucket with some warm water (for a foot soak) and are a great way to help in detoxing and short-term magnesium boost in the body. It DOES NOT help massively with replenishing deficiencies, as it is only in the body a short time. That is, it can help ease the excess lactic acid in sore muscles, facilitate reduction of inflammation due to exertion or injury, and generally helps muscles to be able to relax, but the magnesium won’t necessarily be available long enough to increase stores in red blood cells. Magnesium Flakes/Magnesium Chloride/Magnesium Oil can be used in the bath as well, or in liquid. Magnesium chloride in water is what is sold as magnesium “oil”, or you can put it into alcohol and make a less tingly, quicker drying ‘alcohol rub’ – see recipe here. You can even use mag flakes/oil to create a magnesium cream! I would recommend getting guidance before adding too much of ANY oral magnesium. Certain types WILL have a quicker laxative effect than others and all types can disrupt electrolyte balance. Please see my note lower down about types I do NOT suggest. For those who like ‘the details’… this is for you. I will cover some background on each of the types I have used or researched to be suitable for most people, and you can make up your own decision from this and other reseach what will fit in best! 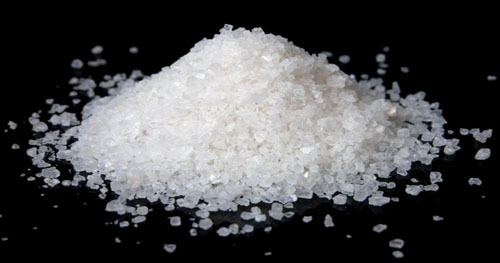 Ionic Magnesium (mag chloride) is added in with water or other food or drink to consume. It isn’t affected by heat and comes as a concentrate. I have found this to be a lifesaver for ease of use for ALL of the family and how effective it is. When we started it, it was easy to introduce slowly (to adjust tastebuds to it and reducing toilet visits!) but also to be so gentle on the body. The bottle may say to have 5ml/tsp daily, but, my experience in my family and with clients tells me it’s better to start with (say) 0.5ml once per day for adults, and build up. I found I started with a matter of drops for my kids, and increased from there. My youngest was about 2 when we started – she had around 1-2 drops per day to start, then increased to about 5 drops morning and night in water. The older kids got more from the start and we have continued to increase their quantities ever since as they grow. For Australian readers, Amenas Daily Boost is a very good product for the mag, potassium, some sodium plus trace elements like boron. Another great option with a similar composition is ‘Ancient Lakes Magnesium‘ which is available in Australia, USA and UK. “Anderson’s” and “Aussie Minerals” are options for those in the US also. I started out sourcing my ionic magnesium at my local Health Food Store – so don’t be afraid to ask them if they can order it in. They may not stock it, but may do if there is demand. There are other liquid magnesium supplements similar to those mentioned above, but I am not necessarily personally familiar with them. My suggestion is to read labels, be aware that they aren’t always what they seem to be, and to discuss with your health care provider. Magnesium Glycinate is often found in products as ‘magnesium chelate’ – worth checking the product you can access is not combined with less desirable types too.This is often used to help relax the body to encourage sleep. My personal experience has been very positive for glycinate based chelates – it’s often very gentle-on-the-stomach types which is also well absorbed. There are a few variations in forms you can access. Doctors Best Magnesium from iherb is my family’s ‘go to’ tablet for this type of mag. It’s well tolerated and well priced. Natures Own magnesium chelate is an Australian product available at supermarkets or chemists. I first added one before bed – it encouraged deeper, restful sleep. Some time later, I added another in the morning. You may find that one morning and one at night works for you… or you may feel that you want to increase it some more beyond that. If you find it negatively impacts your sleep, you could try one in the morning a day or so later. Most people will sleep better at night having had this type of magnesium… but some will be better on other types as it may not suit their bodies. Magnesium Malate is another form which is readily available to most and is said to energise. I use it in the morning for this reason, though in my experience I find it helps to maintain energy throughout the day (I do use a ‘slow release technology’ option – “Jigsaw mag malate, with SRT b-free“). Others find ‘Source Naturals‘ as a suitable option – we didn’t find that fitted well with our family. My family do really well having some malate in their routine – we started with glycinate morning and night, but seem to have further improved by introducing malate too having a mixture of types each day. Magnesium bicarbonate, or mag water, is a liquid mag you can make yourself (see how here) or in some countries, you may source it within mineral waters. I find it refreshing to have in my drinking water throughout the day (about 1/4 of it, 3/4 filtered water). I started out only adding a smaller amount to my drinking water, and increased as I got used to the flavour change and as my body started to crave more. My youngest LOVES to “steal” my water too with this in. “Magtein” – Magnesium threonate – said to be good for brain function over other types, but I’m not convinced it’s any better than the other types. It seems to be a lot of good marketing with some level of truth. It does help many with focus and concentration, but so do the other cheaper/easier to access types. Magnesium orotate – I haven’t personally used it, but it’s a form many find helpful as an option. Magnesium citrate is commonly found in laxative magnesium options and can really cause havoc on your ‘ceruloplasmin’ levels, as well as simply being an irritant. There are better ways to get laxative relief!! You want to stay away from citrate. It has a very known impact in the body and in the mitochondria. It disrupts the functionality particularly of the liver’s ability to make ceruloplasmin. It’s not a well known reaction, but it is there. You can watch a video which covers that, or read the associated transcript here. Magnesium oxide isn’t very bioavailable in the forms it’s often presented in – you can mix it with water to make ‘milk of magnesia’ – it’s more available to your body then… but use caution here. It’s a laxative – actually a great alternative to citrate, just be mindful that it’s still just a crux – not solving WHY constipation is there. That needs you to look at deeper mineral balancing aspects including potassium intake and much more. But what do YOU supplement with Kristan? My personal experience with introducing magnesium was back in about August 2013 and was taking a small amount of a basic magnesium supplement (to use up some I had purchased along the way to help with my aching neck! )… and then to add in just FOUR sprays of magnesium oil to my skin each day. I did that for one week, then upped it to SIX sprays per day. Each night I would apply the sprays to the soles of my feet before bed. That’s it! I did have to deal with sheets which got the mag oil on it (later could be stopped by wearing socks, but I’ve never been a big sock-wearer at night)… but you know what, after 3 weeks, and only increasing to 8 sprays per night between my two feet… I had a baby who slept the whole night through, and I had never felt better sleep-wise! NOTE: I had put *none* on her… it was all via me, and then her being a breastfed baby… nothing else was varying in our lives… we both ate the same food every… single… day… and if I stopped the magnesium, she would revert back. Doctors Best Magnesium tablets (after I used up my Natures Own ones – cheaper from iherb and it has a combination of mag sources which I responded to extremely well)…. Please DO NOT start doing that amount of magnesium quickly nor without getting guidance. This is MY story, and it may not be something that will work for you. The Magnesium Advocacy Group I am a part of on Facebook has discussed this topic many times – the amount to take. The general guideline discussed is a maintenance level of magnesium which is about 10x your weight in kilograms, in the unit of milligrams (mg) – so a 50kg person would look at needing a maintenance dose of 500mg of elemental magnesium. I am a lot heavier than 50kg, but no where near 100kg… but I found that I hit ‘gut tolerance’ (laxative effect) from oral magnesium when I got around 1000mg elemental magnesium between the three types I use. So this level is helping me to improve my deficiency and to feel in the best health I can be. If I used one more of one type than the others, I wouldn’t feel as good and balanced. No matter how many times I hoped I could do it in a simpler way. That’s just how my body worked best at that stage (early 2013)… I have adjusted it along the way in times of stress increase (more mag!) or when I’m relaxed (less mag). I still do a combination of all three each and every day. Now I can get away with missing some here or there and I’m ok, but if I don’t get doses fairly regularly over a matter of days, I will start to notice a dramatic change. There are national guidelines on Magnesium, and I encourage you to review them if you are cautious on this. It is a LOT lower than what I have talked about here… and interestingly, those national guidelines are a LOT lower than what they were in days gone by. Say the 60’s? Since when have our needs for magnesium reduced? To me it seems like its been easier to drop the recommended amounts and the ‘normal’ ranges for testing to reflect on the results being seen, not the actual amounts that the body needs nor what has been previously set for good reason! My children all get varying amounts of the same three magnesium sources… but they also get the magnesium flakes and epsom salts added to their bath water every single time they have a bath. The change in them when we consistently use it is amazing and warrants its regular use! In my experience, it has been massively beneficial to give them magnesium, but start small too and go up in smaller amounts. HTMA and full testing is highly recommended in my experience to make sure you give them co-factors of other things they may need beyond just magnesium. You cannot launch yourself into taking a huge dose of magnesium because you decide you are really deficient. It will only make you feel sick and/or end you up on the toilet. You should ease into it steadily – increase each week as the body adjusts. If you take a lot suddenly, your body will potentially pump out a lot of electrolytes to offset the sudden increase, and you may end up feeling dehydrated, with a headache and feeling very much like the magnesium was causing a reaction. It kind of was. Start slow, and increase in small steps. Also, supporting your adrenal system sufficiently and consuming enough electrolytes is critical. Electrolytes are the salts which make your cells work. They go in and out of your cells continuously and allow transfers of all the important components in and out… not enough electrolytes = headaches, sickness and feeling pretty yuck! Have you always had it drummed into you that salt is bad? Salt as most people refer to it (sodium) as well as other types of salts are absolutely critical to our body being able to function from day to day. I challenge anyone who blindly believes that salt is the sole cause of high blood pressure – and encourage you to read up on mineral imbalances and how much things like magnesium will naturally help to reduce BP. This video gives an amazing insight into how salts and electrolytes are important to the body. I use the ‘Adrenal Cocktail‘ a lot… its been a big part of my journey looking into mineral balancing – finding that my adrenal system was nearly exhausted when I was first tested in early 2014… and on its way to better health in late 2014/early 2015! I don’t need quite the same support now as I did when I started, but its really just changed (regular testing is important!). Where to go beyond magnesium? There is so much more to regaining health and balance in your body beyond magnesium… mineral balance is a complex part of the human body – it underlies every single part of how your body ticks! It is also very individual… so while we all need lots more magnesium as a general rule, we do NOT all need the same thing with other minerals and vitamins. I have an extremely good personal experience and seen a huge change in our family from using Morley from rcp123.org for our consults. He has taught me so much and unlocked a massive amount of how our WHOLE family ticks health wise, all the way through to my Mum and her Mum…. I learned so much with my own consult back in early 2014, that I have since encouraged dozens (hundreds?) of others to work with Morley, and have since gone on to do my own training and now work with Morley myself. I also work with clients to educate and empower them, just as Morley did with me. Mineral consults are more than just giving you a label of a certain diagnosis for Pyroluria or a syndrome or disease… it helps you understand your individual biochemistry and mineral “make-up”, what stress does in your body and helps you to see where you need particular support. Please don’t hesitate to drop me a line here, I’m here to help! Magnesium and our soils…are our gardens a symptom of our bigger deficiency issues? Now that I’m finally forcing myself back into my garden after some years of being unable to care of moving/work/newborn/intolerant-to-the-world child/back to work…… and I happen to be learning about magnesium deficiency at the same time… its had me reading on a different level. A week ago I was watching a special presentation by ‘Gardening Australia’ about feeding your garden. Nourishing it. They had a little snippet where they talked about magnesium and iron deficiencies in plants, and how they manifest. Look carefully for mottling on the leaves of plants because this is an indication of magnesium deficiency, which is really common in Australia. It affects a range of plants including gardenias, rhododendrons, azaleas, camellias, roses and citrus. The solution is to get some Epsom salts. Take half a litre of water, and put in half a teaspoon of Epsom salts, then shake and stir. Either water it on plants or you can foliar spray it. So its recognised that mottling on leaves (and in the story I saw last week, they added to this, more below on that)… that its magnesium deficiency you will be seeing. How is it solved? Epsom Salts. Humans become symptomatic in many different ways – food intolerances, behaviour, mood/depression, auto-immune conditions and so much more… but epsom salts (mag sulphate) is a very good way to assist most who are deficient too. JERRY COLEBY-WILLIAMS: Gardeners often take the green colour of plants for granted. That green colour is caused by a pigment called chlorophyll and chlorophyll allows plants to capture sunlight and convert it into food – it allows them to grow. But quite often, iron and magnesium which are essential for producing chlorophyll, can be deficient in our soils. Now those deficiencies can progress in two different ways. Iron deficiency first appears on new young growth and if those leaves grow yellow, it’s a good chance you’ve got iron deficiency. Magnesium tends to develop on old leaves and if older leaves grow yellow, but the young leaves remain green, magnesium is the key suspect. Now how do you treat these deficiencies? Firstly for iron, you use iron chelates and you can water that in around the roots of plants – once in spring and once in autumn. With magnesium, that’s slightly different. It’s very soluble in water so you can often apply dolomite at a rate of one handful per square metre in autumn and that will last the plant right the way through a year, but in tropical climates with heavy rainfall, you can use Epsom salts and you apply that as a spray by diluting 1 teaspoon full of Epsom salts in a litre of water and you can spray that over foliage once a month during summer. If you put those two treatments together, you’re plants will be greener than green and they’ll be super efficient at capturing that sunlight and converting it into growth. ….and for good measure, I managed to find the video… here. So… if its recognised in every day gardening… and its recognised in everyday farming when it comes to livestock too (I’ve had many conversations with those with horses and other types of farm animals about the critical need for magnesium supplementation given our soils)… HOW is it not more widely seen in the human population? Do humans really think that we are all that different from animals and plants? Just some… food for thought….! PS A few weeks ago I put some magnesium chloride onto my (edible) garden, including my choko vine, herbs and citrus trees… you know what? They were all setting fruit and had the strongest growth I’ve seen in a couple of years! Unbelievable. Some of these were in pots which are probably overdue for a fertiliser topup. Others are in soil which has been improved with organic matter and were already growing fairly well. All are probably stressed from the extremely dry conditions we have now, but, without changing the watering pattern at all (occasional sprinkle by us), they have gone crazy. Twelve months of waiting for a single choko to set… despite 1000’s of flowers, never one… but within a week of the mag chloride, several setting and a few surviving the local ‘wildlife’ to be taken by us! Don’t underestimate how much you may need to help your own garden along……..
Vitamin D, Calcium and so many minerals… absorption can’t happen without magnesium… ! They diagnose low Vitamin D, despite many of us (in Australia at least) getting plenty of sun. They tell us to take the oral Vitamin (often D3) but don’t realise that it needs to be taken when there is sufficient magnesium in the body to absorb it… or your D3 levels are likely to never go up! They tell us that calcium is so critical for strong bones, but they don’t tell us that without magnesium, it often cannot be absorbed either. Vitamin D3 and calcium need magnesium to be absorbed. That doesn’t necessarily mean they need to be TAKEN at the same time though. A small subtlety… but an important one. Magnesium needs to be present in the cells to absorb nutrients from your digestion…. but if you take it at the same time as Calcium and D3, it may hinder absorption of all. Some are familiar with magnesium… know that taking it when you are getting leg cramps may help. Take apparent megadoses of it… but you know what? You need the elemental magnesium, not just the total magnesium listed on the label. Sometimes it can say 400mg of magnesium, but it may have only 4mg of elemental magnesium in it! It also may not be well absorbed depending on the type. There are so many complexities to how magnesium works in the body, how it is absorbed and how it helps the body to function once its there… but where to start? Put this on your skin, and it is well absorbed. It bypasses the need for the gut and gets to work in your body. Start slow, use 4-6 sprays per day in the first week. Then increase by 2 sprays per day, each week. So week 1 = (say) 4 sprays per day. Week 2 = 6, week 3 = 8 and so forth. Each Magnesium Oil spray will be a different concentration, but, the one I use is 66mg of Elemental Mag per 4 sprays… so I’m working towards the suggested total of 5 x my body weight (in pounds) in milligrams. So for a 150 pound person, that would be 750 mg per day TOTAL. So if you are taking any other supplements with magnesium, that would be included. If you want to minimise tingling/stinging, spray only on the soles of your feet. Perhaps just before bed, or while watching tv/doing quiet activities in the evening and then wipe off the oil residue before bed. For us, I noticed a change quickly. My breastfed baby started sleeping ‘through’ when I was up to 8 sprays per day. If I have deviated from that, she has started waking again. Tested several times sadly! In times of stress, you may need even more. Something I noticed, and I didn’t fully think of this until much later. I started to tan on my feet for the first time in my 30-something years of life. Where was I putting the mag oil? On my feet. I wasn’t out in the sun any more, I wasn’t doing anything different to other recent years… it was only spring time too – not hugely intense sunlight… but… I developed a sun tan. Fancy that… more magnesium, more conversion of sunlight in the body to all the ‘good stuff’…? Once you get started and see a difference, consider having a hair analysis done and getting some guidance on your own personal mineral status… more about that on another post, but if you are desperate NOW… go to ‘gotmag.org’ and have a look around. Get Morley to do an assessment for you…! When we overdo it, we get run down and can experience low zinc and magnesium as a direct result of stress. Copper often then shoots up and it prevents us getting the other two back to optimum levels again. We get run down, constantly sick. Just start to get better again, BANG, sick again. We get problems with depression, reoccurring low moods. How we think starts to change – feeling more negative, submissive, doubting ourselves. Anxiety may kick in (read more here). Our mood starts to negatively cycle back onto our body, self image often takes a hit. We don’t exercise as much, or are too busy doing one thing or another. More stress. More depletion of minerals. We just get on with things, just survive. Our digestion doesn’t work properly because the metabolic pathways with the right enzymes become dysfunctional because the raw ingredients (minerals) it needs to happen, are low or absent. More critical pathways shut down or slow. We get kidney stones and gall bladder attacks as our bodies are unable to process the chemicals fully in our body with what we are consuming and the minerals present in our blood. Our bodies work overtime trying to keep our blood sugar stable. We put more weight on, eat more comfort food. Get more depressed because we are overweight. Our bodies are in survival mode, but it looks like we are purely overindulging. We don’t have time to exercise. Its too hard to get started, our chronic illnesses now stop us from doing more than a little bit, and with all the images around of skinny, fit people doing it ‘easily’… we start to doubt we CAN even do it. Even if we do manage to exercise, it takes SO much more effort to lose the weight. Our metabolism seems to be so slow. We take supplements to fix this, that and the other. We take broad multivitamins but they are so broad, they don’t necessarily address the deficiencies anyway and often give us things at the same time which can compete for absorption. Tests that Drs carry out often don’t pick up the root mineral balance issues due to poor choice of tests, or looking too narrowly at only certain things. Have insomnia problems? Sleep not come easy? Check out Magnesium’s role in that… here. Adequate mineral levels can reduce stress… here. Magnesium is being researched to help with concussion recovery. Just for interests sake! Check it out here. I have a number of other magnesium links on my other page which covers things I often mention in passing when I’m talking to people about Thermomix’s… scroll down to the heading ‘Magnesium’ and have a look here. The next post in this series can be viewed here. Our family’s experience is that we can reverse intolerances and suspected allergies, and boost our energy and vitality. Over the next few days I will be covering key information that I’ve discovered on our road to health and happiness. All around me I see hustle, and bustle. Wanting to save time, effort etc because we are all over-committed and worn out in a modern society that facilitates us doing more, all the time…. or else being frowned upon for being lazy! Have you noticed how many people are intolerant of foods, or allergic to them? Having chronic health issues? I’m realising now how this is linked. Adrenal Fatigue. Mineral Imbalance. Our bodies unable to maintain health because we are low in one or more of the critical building blocks. We are busy, our bodies get run down and low on critical minerals. We get run down, constantly sick. Just start to get better again, BANG, sick again. I’ll be covering critical minerals and vitamins in the coming days – zinc, magnesium, calcium, vitamin D and copper. Get a bit of an idea what I’m talking about here and how it relates to food intolerances/allergies… check this out.